Mobile Radios have a distinct advantage over fixed base radios in that they are smaller (easier to conceal), they have almost the same features and options as fixed base radios, and they can be used as fixed base radios simply by connecting them to readily available 12 volt power supplies. Mobile radios and even fixed base radios can readily be used for portable operations. Mobile radios will generally operate in the VHF/UHV1 range and are best for localized operations. Depending on the gain of the antenna used in mobile operations the area of coverage for mobile radios can be anywhere from 1 to 5 miles. Should a survivalist incorporate HF or High Frequency radio in their communications gear then they can expect to dramatically expand their area of coverage. Of particular interest to those who want a comprehensive communications system is the fact that quite a few amateur (ham) radios incorporate HF & VHF. For instance, the Icom model IC-746PRO covers the amateur bands between 1.8 and 29.7 megahertz. Along with these frequencies the IC-746PRO has a general coverage receiver which encompasses the frequencies between 0.030 and 60 megahertz. An additional receive only band of 108 to 174 megahertz also comes standard in the IC-746PRO. One more attractive feature of the IC-746PRO is that in contains an onboard antenna tuner. An antenna tuner’s function is to insure the antenna connected to the IC-746PRO is matched (tuned) to its optimum. Antenna tuners protect the transmitter of radios as well as improve the received signals. Even though the IC-746PRO is considered to be a fixed base radio, it is well suited for mobile and/or portable operation. We touched briefly on using mobile radios and base station radios in portable operations. One might wonder about the differences between that of mobile radios and portable radios . The radios themselves are no different when it comes to portable operations. It is the surroundings that differentiate between fixed base, mobile, and portable operations . Portable operations generally use a large and/or more permanent antenna system than a mobile radio would require. Portable operations generally are running on either generator or solar energy as the power source for the communications equipment. The antennas used in portable operation tend to be either verticals stuck on a pole or a series of tuned wire antennas strung between structures such as trees. 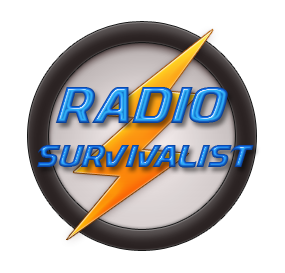 No matter what radio gear a survivalist chooses they need to consider the probability that they will be using mobile or portable radio setups at one time or another. 1VHF/UHF indicates the radio equipment operates in the VHF, Very High Frequency, or UHF, Ultra High Frequency, ranges.